Jose Aguilar had an idea. 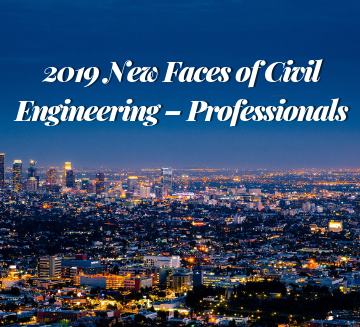 A transportation engineer at Psomas in Tucson, AZ, he wanted to inspire the students in his hometown with a civil-engineering competition similar to the STEM activities and competitions that he loved when he was a teenager. It was a nice idea, a good idea. But for the time being, just a concept. And this is where most people usually stop – at the idea stage. Jose Aguilar, however, is not like most people. 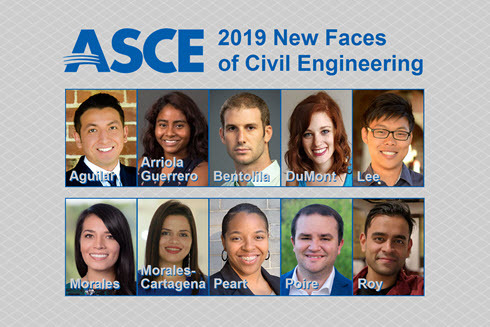 And this is why ASCE has honored Jose Aguilar as a 2019 New Face of Civil Engineering. Aguilar took his idea and made it a reality, launching the PVC Bridge Competition, with the help of MESA (Mathematics Engineering Science Achievement) and his local ASCE Younger Member Group. The competition challenges pre-college students to design and build 6-foot bridges that can hold 100 pounds, using PVC pipe. The annual competition, now in its third year, has expanded to middle school and high schools across Arizona, reaching students from Tucson, Phoenix, and the surrounding areas. “Kids learn by doing. You go to class and do a math problem, but you don’t see it in the real world,” Aguilar said. “With this competition, the kids get to come up with the design, build it, and see if it works. Growing up in a lower-income part of South Tucson, there were not many opportunities available for Aguilar. That’s where MESA (the same STEM program now supporting the PVC Bridge Competition) really helped. 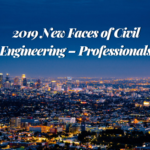 He attributes much of the civil engineering career he now enjoys to those MESA mentors and experiences, so it’s no coincidence that he wanted to give back and provide those same opportunities to his local community. 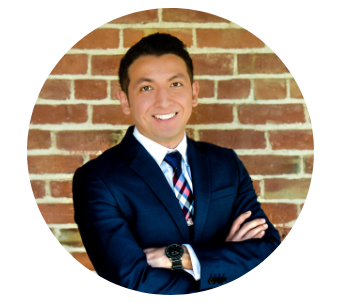 For Aguilar, it’s especially rewarding because he knows he is living proof of the value and benefits of these outreach activities. Aguilar’s knack for creativity and innovation extends into his personal hobbies as well. A few years ago, when drones hit the commercial market, Aguilar – a self-described fan of gadgets and new technologies – bought one for himself to experiment with and explore the possibilities. It wasn’t long before he noticed the potential and earned his license as a drone pilot. Soon thereafter, he’d translated it into an innovative business driver for his career at Psomas – stitching drone images together to get a complete picture of a convention center parking lot to study the percentage of parking spaces before and after a local hockey game, or recording an intersection to study the current flow of traffic. “Instead of having people out there counting cars, we use ‘screenshots’ at specific time intervals,” Aguilar said. “It helps provide a visual because as engineers we like numbers, but if we’re talking to clients, it’s easier for them to understand if they can see it visually. Born and raised in Mexico City, Aguilar and his family moved to Tucson when he was 11 years old. The city that adopted him and saw him learn how to drive and go through college became his new home. Aguilar started with Psomas as an intern five years ago, contributing to a massive, soon-to-be-completed Ina and I-10 traffic interchange project. He also was part of the team to work from start to finish on the Grant Road roadway widening project. Clearly, helping the community – whether it be a new student competition or through new infrastructure – comes second nature to Aguilar.